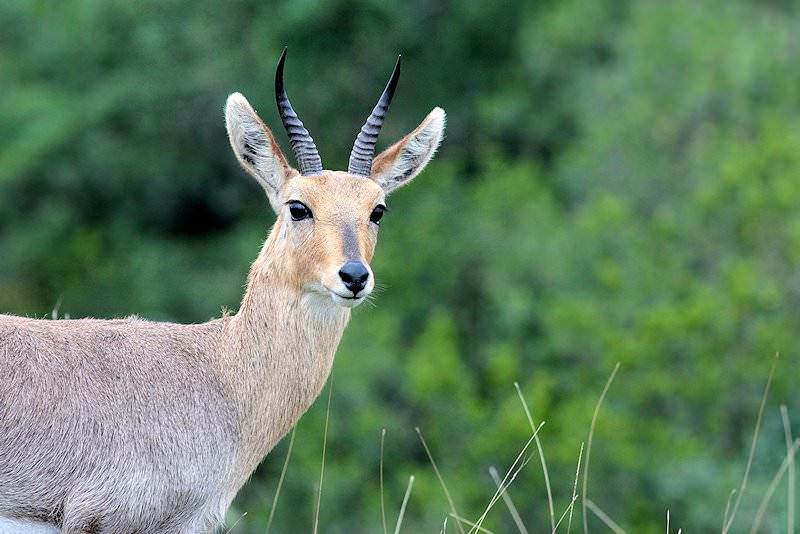 The mountain reedbuck, as his name implies, is hunted in mountainous areas in South Africa. 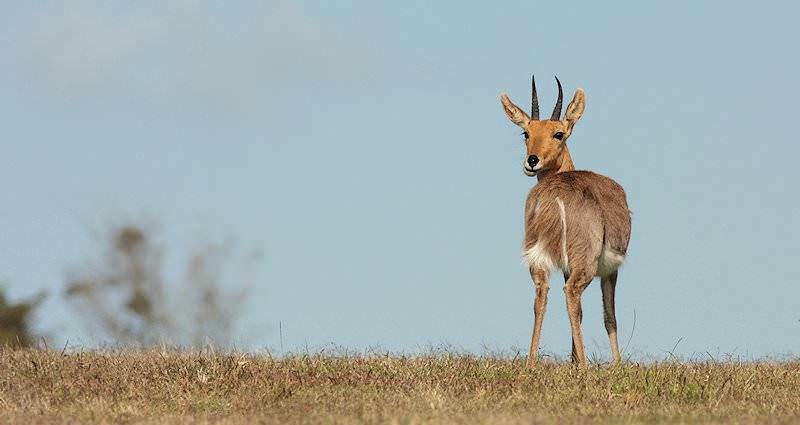 As his name implies, the medium-sized antelope is found in mountainous areas, on dry rocky slopes and hills where sufficient grass and shelter is readily available. 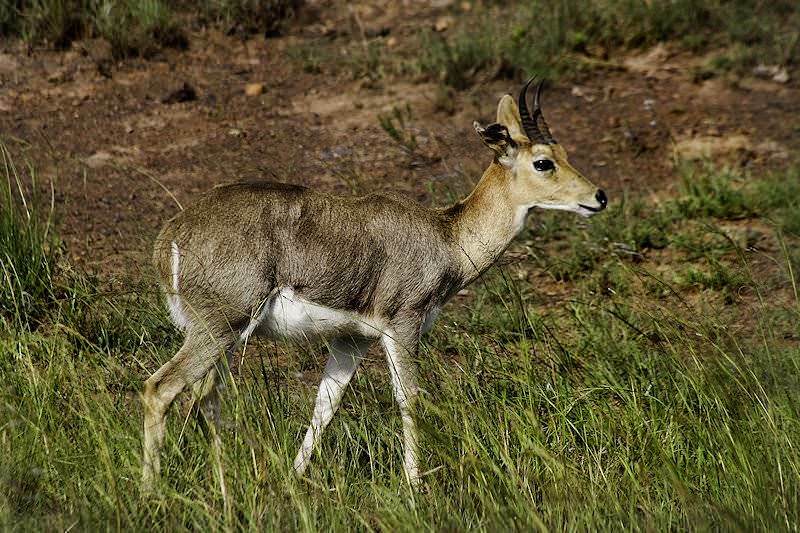 The mountain reedbuck will usually avoid open areas and peaks, staying close to the rocks, trees, and scrub which he uses for cover. 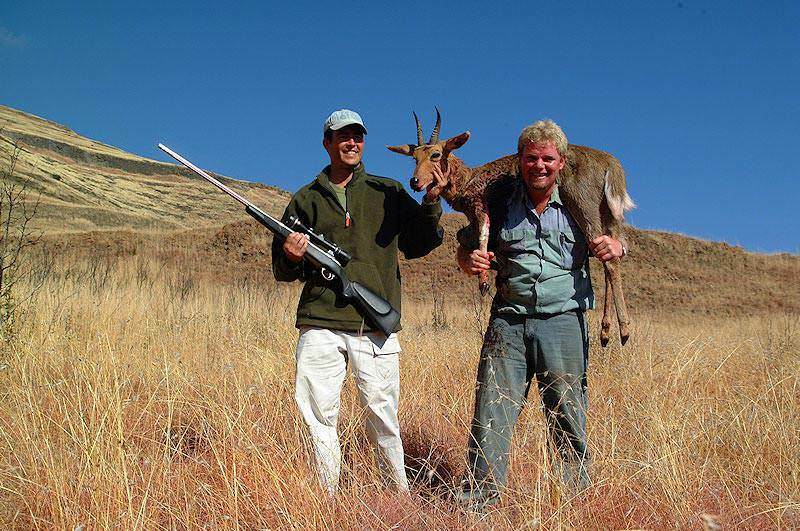 If you are interested in hunting mountain reedbuck, expect to do a bit of climbing. 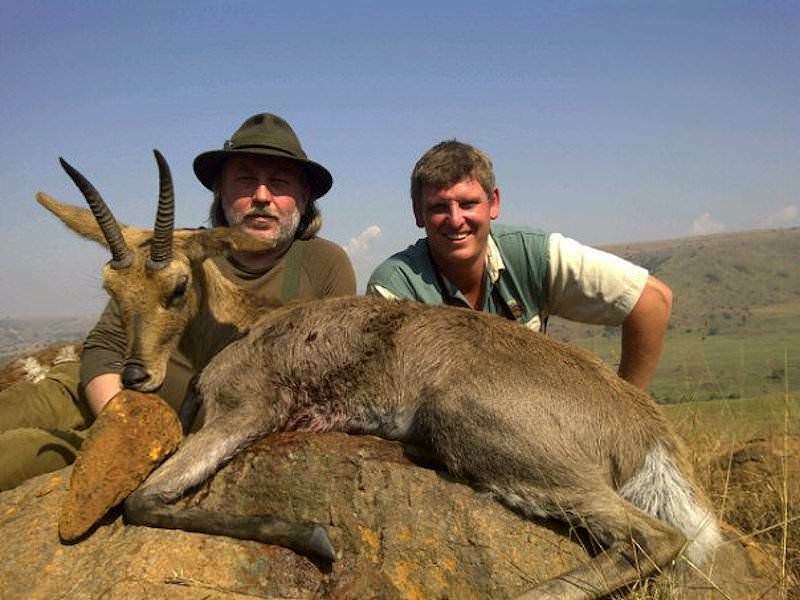 The ewes tend to be smaller than the rams and carry no horns. 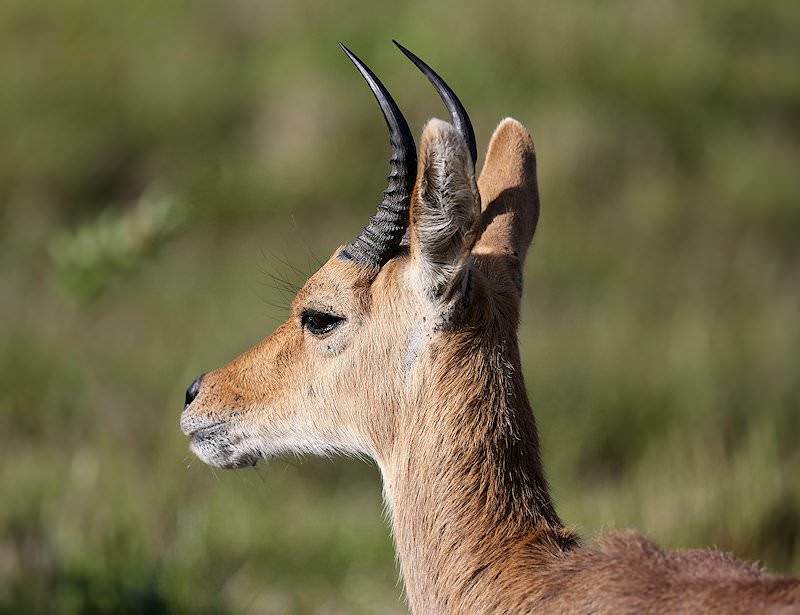 The mountain reedbuck's horns tend to be shorter than those of the common reedbuck, but still exhibit the characteristic curve forward at the tips. 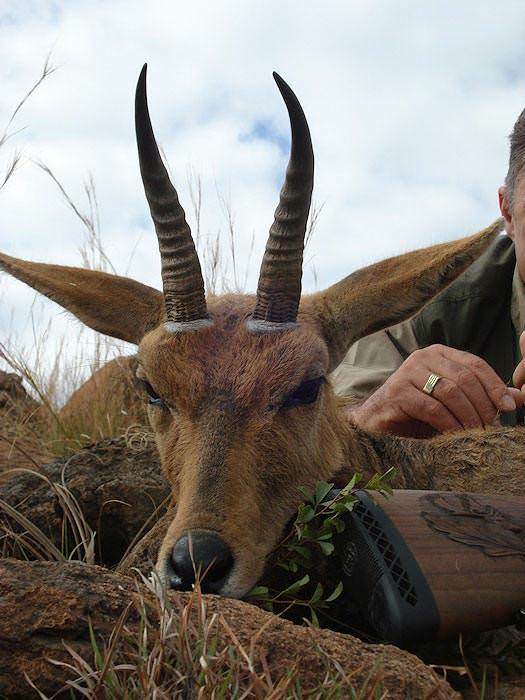 Just about any set that exceeds the ear lengths will constitute a good trophy. 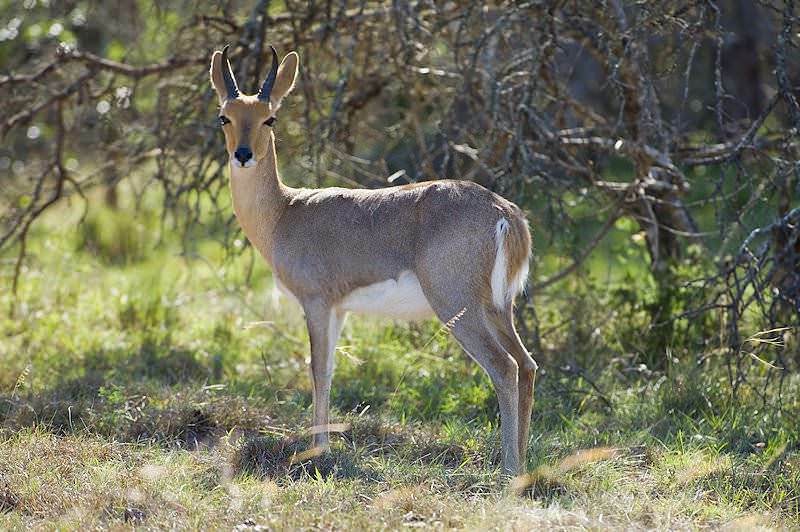 This mountain dweller lives in herds of 3 to 6 animals usually consisting of females and juveniles. 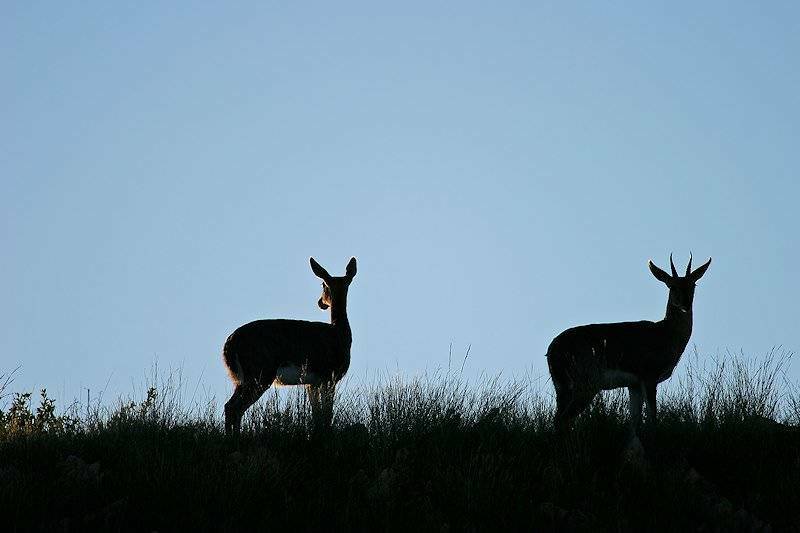 The rams form bachelor herds or are often encountered alone; they join the herd only to mate. 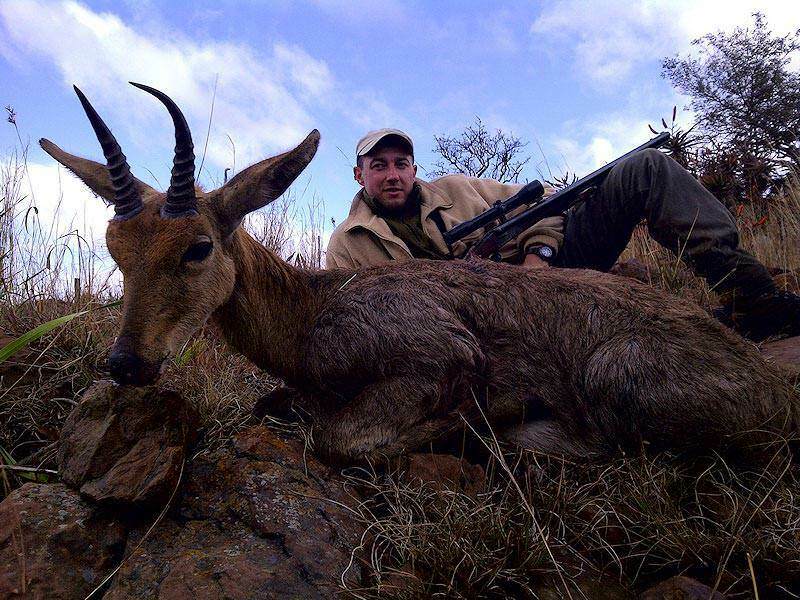 These guys are wary, but often inquisitive - a trait that the hunter can use to his advantage. 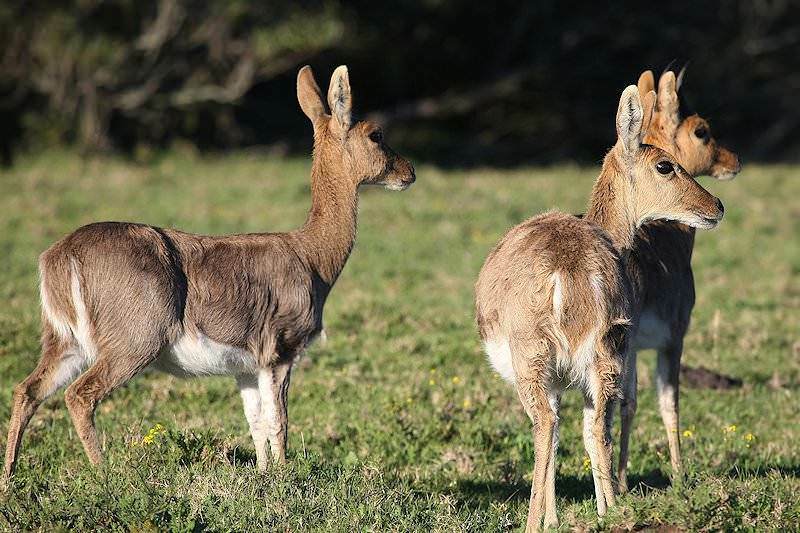 They graze and drink early in the morning and during late afternoon or even at night, usually resting in the shady spaces of their habitat during midday. 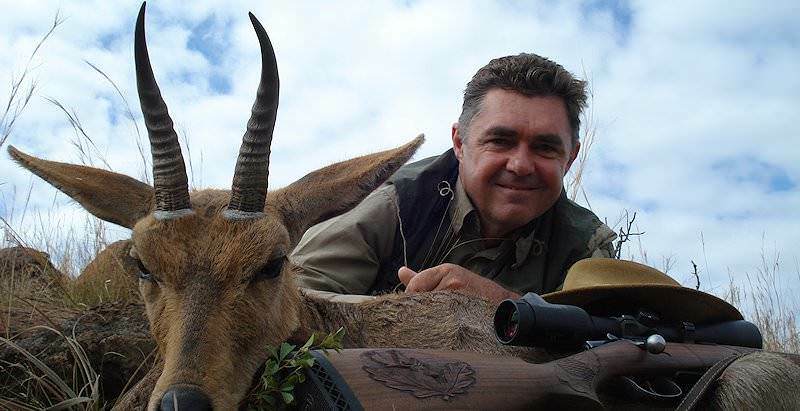 A bit hard to approach, hunting mountain reedbuck will probably demand a shot of considerable distance. 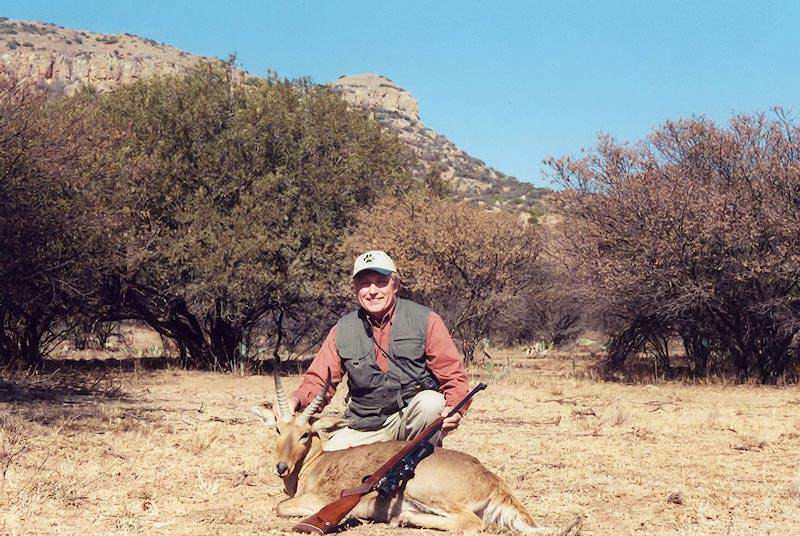 As for most of the medium-sized antelope, a rifle of .270 caliber would be an excellent choice. 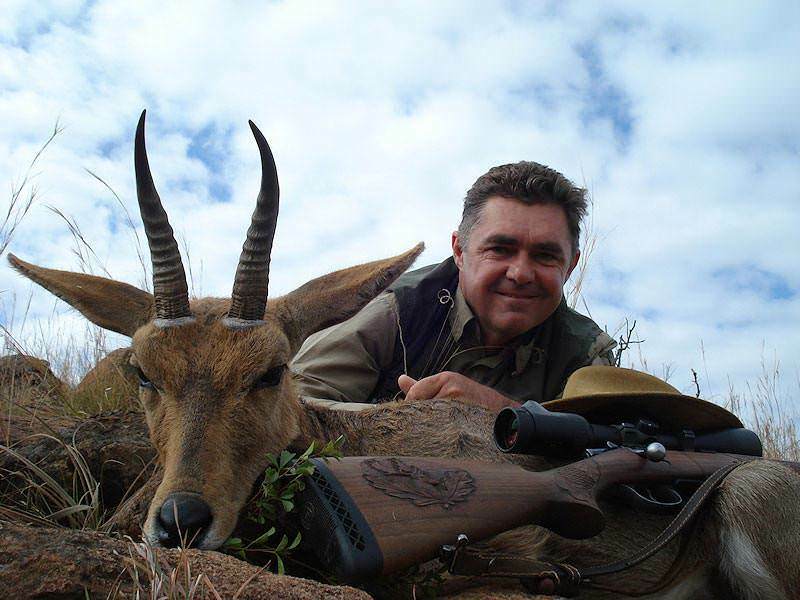 Quality expanding bullets of 130 to 175 grains should do the trick. Place your shot directly on the shoulder to anchor this excellent climber or you may be in for a day of climbing yourself. 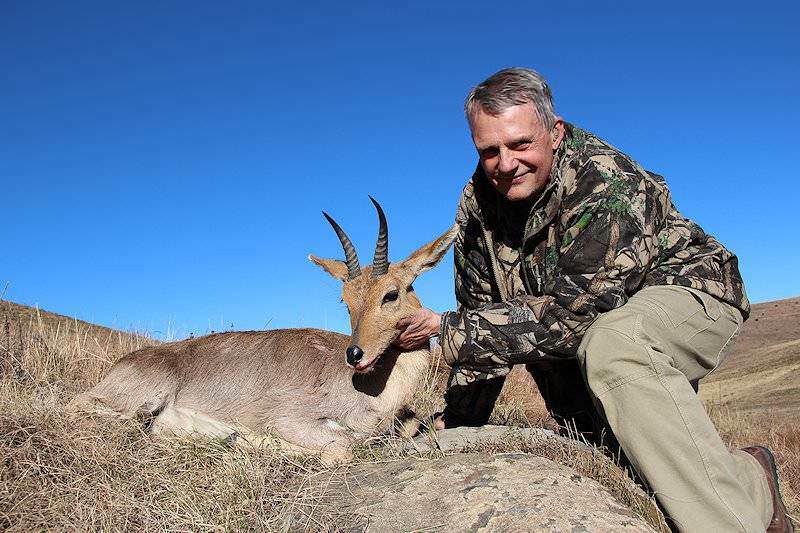 Take three distinct trophy animals on this week long package to one of South Africa's most unique hunting regions - the lush and mountainous Eastern Cape. 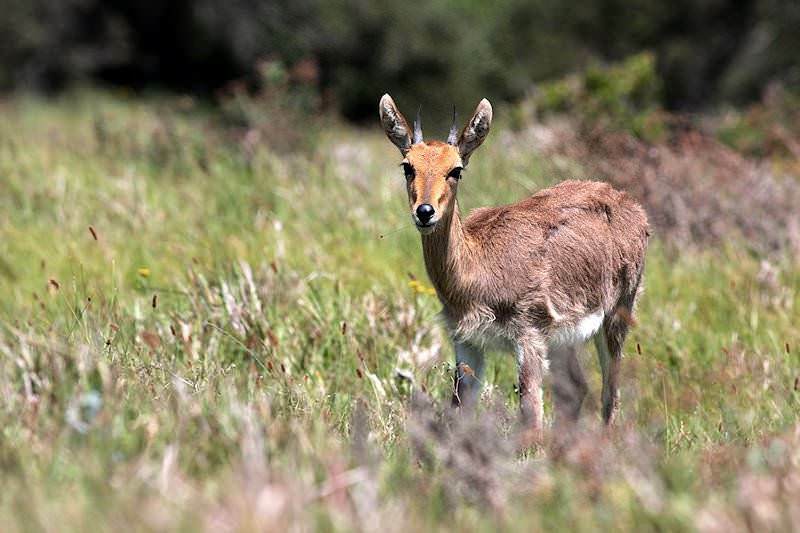 The package includes a Cape kudu, mountain reedbuck and a caracal. 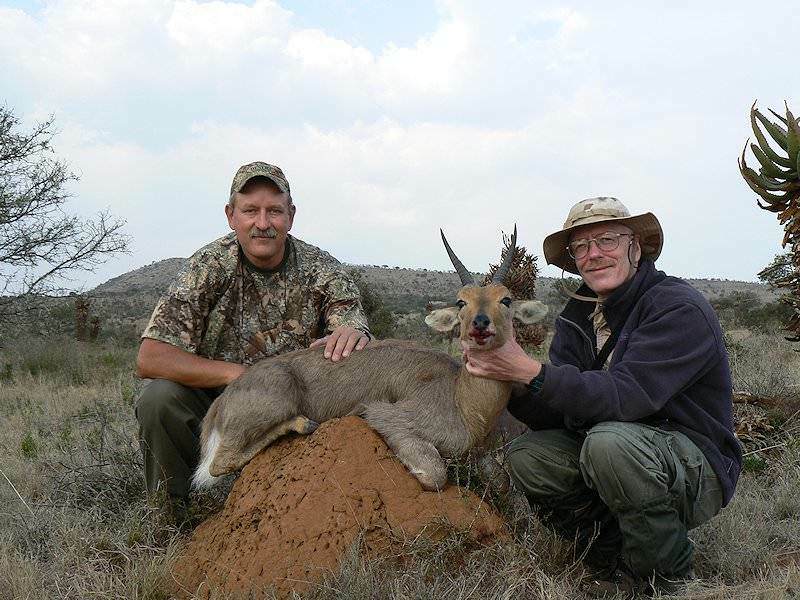 A comprehensive and unforgettable three-week hunting expedition in South Africa. 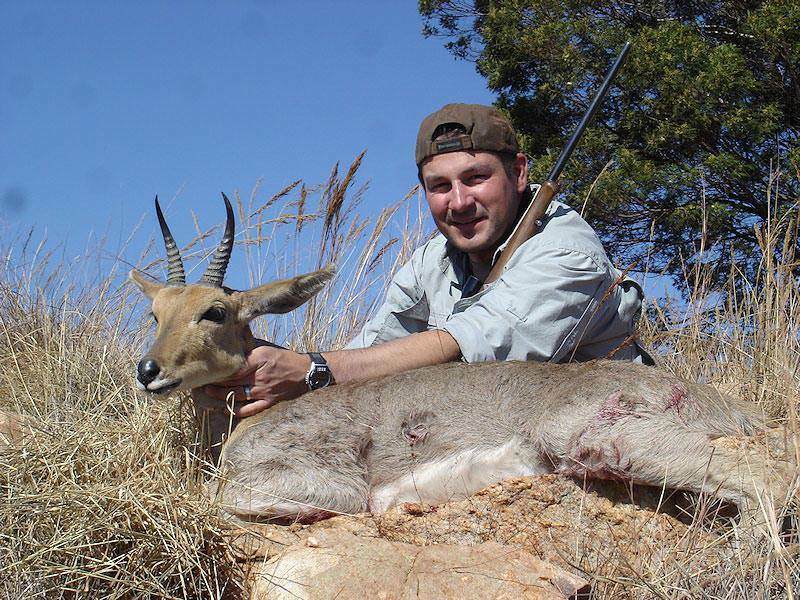 You'll pursue plains game galore across the eastern plains of the Free State, the iconic bushveld region and the rolling green hills of the Eastern Cape province.